Our 20′ Dual Lane Slide is an exciting option for your next event. Perfect for kids ages 3-12, the dual lane slide has a throughput of over 100 participants per hour. 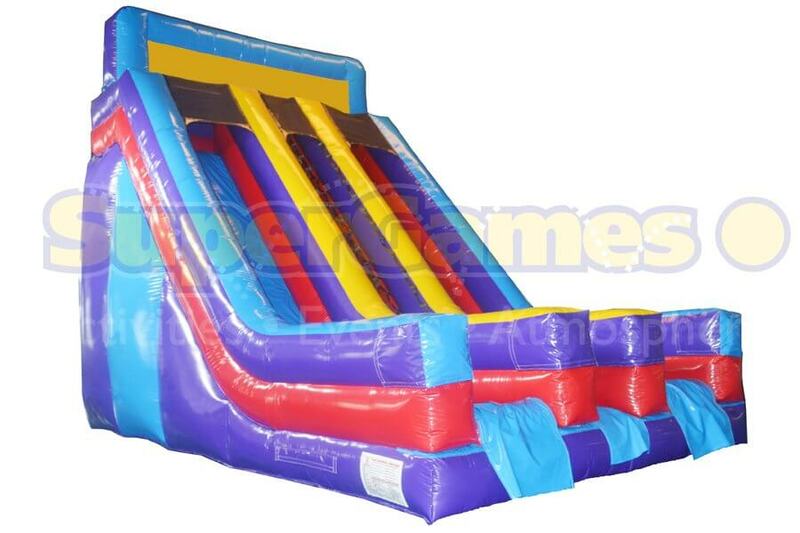 The Dual Lane slide is a great option for your school, community, church, or company event.